Since 1993, the Zaleski Law Firm has successfully represented clients in Bankruptcy, Foreclosure, Criminal Defense, Drunk Driving and Personal Injury matters. If you live or work in Dane, Rock, Green, Sauk, Columbia, Richland, Iowa, Lafayette, Grant, Jefferson, Walworth, Dodge, Marquette, Adams or any adjacent county, the Zaleski Law Firm is eager to help you get a fresh start. Attorney Steven Zaleski is a native Wisconsinite who has practiced law since 1993. He has offices in Madison and Janesville. His current practice focuses on bankruptcy, debt relief matters, criminal defense, and personal injury matters. Attorney Zaleski has tried jury trials in both state and federal court. He has been lead counsel in over 100 appeals filed with the Wisconsin Court of Appeals and has represented clients before the Wisconsin Supreme Court on five separate occasions. He regularly represents individual and small business clients in the United States Bankruptcy Court for the Western District of Wisconsin. Attorney Zaleski has also argued federal appellate cases before the Seventh Circuit Court of Appeals in Chicago and the Fifth Circuit Court of Appeals in New Orleans. Based on his experience, he has been certified by the Wisconsin State Public Defender to handle the most serious criminal matters including first degree intentional homicide at both the trial and appellate levels. Of the five cases before the Supreme Court, two were first degree intentional homicide matters. Attorney Zaleski is a good standing member of the Wisconsin State Bar Association and receives client referrals from the State Bar’s Lawyer Referral and Information Service. Most clients are referrals from past clients or other lawyers. Attorney Steven Zaleski is licensed in Wisconsin, Illinois and Texas. He is a graduate of Rice University in Houston, Texas and the University of Texas School of Law. 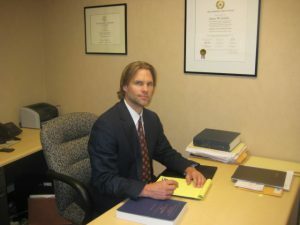 Attorney Zaleski is admitted to practice in the U.S. District Court for the Western District of Wisconsin, the U.S. District Court for the Eastern District of Wisconsin, the U.S. District Court for the Western District of Texas, the Fifth Circuit Court of Appeals, the Seventh Circuit Court of Appeals, and all Wisconsin state courts. The Zaleski Law Firm is a debt relief agency. We help people file for Chapter 13 or Chapter 7 bankruptcy relief under the Bankruptcy Code. The Zaleski Law Firm serves clients in Dane County (Madison, Middleton, Monona, Stoughton, Fitchburg), Rock County (Janesville, Beloit), Columbia County (Columbus, Portage, Wisconsin Dells), Green County (Monroe), Sauk (Sauk City, Baraboo, DeForest, Wisconsin Dells), Lafayette County, Adams County, Grant County and the surrounding areas.